With a seating capacity of 1029, the McIntyre Performing Arts Centre is a perfect venue for any performance or event where every seat gets the best view. We offer great acoustics for a one-of-a-kind experience. We offer three dressing rooms and a large green room space that comfortably accommodates 75 people. The McIntyre Performing Arts Centre is where your event can be a big success! 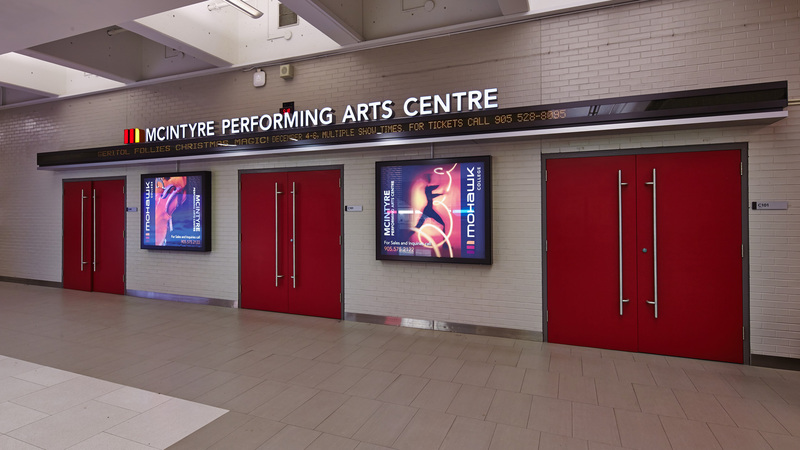 McIntyre Performing Arts Centre. Located inside Mohawk College's Fennell Campus. Prime artistic space for professional & amateur performing arts. Contact us to book our performing arts centre or inquire about upcoming performances. Email the Performing Arts Centre for general inquiries and to inquire about upcoming performances.